Nevermind the fact that Kurt Cobain has been dead over 15 years, Nirvana's music still lives on today, and the front man is back in virtual form in Guitar Hero 5. 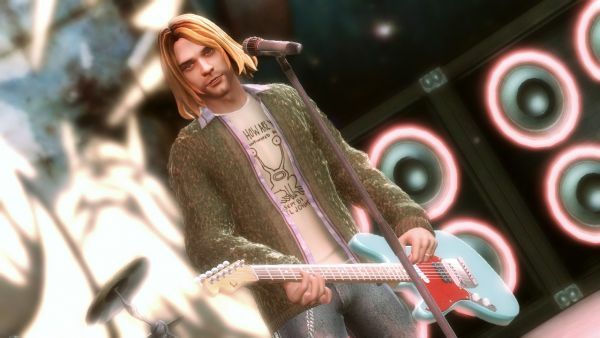 Activision has announced that his likeness has been licensed for the game, along with two Nirvana songs; Smells like Teen Spirit and a never before live version of Lithium. The previous rumor has now been verified, and with the game coming out tomorrow, you can bet there won't be anymore surprises. Guitar Hero Going Plug and Play? Page created in 0.4025 seconds.